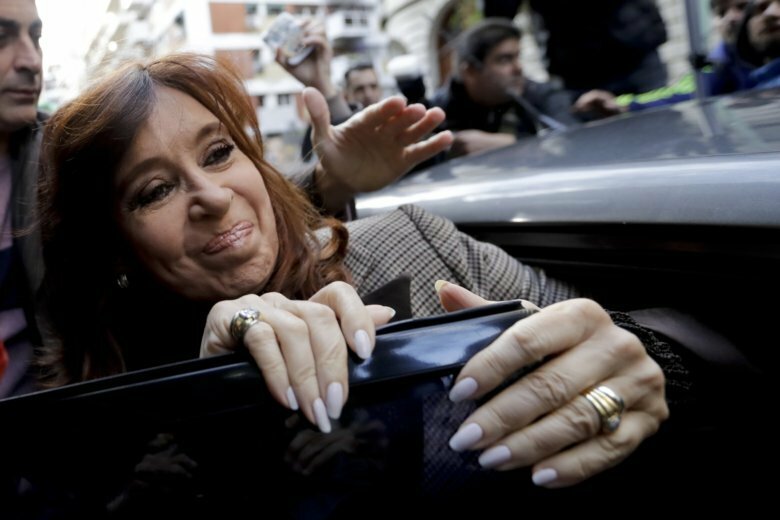 BUENOS AIRES, Argentina (AP) — A federal judge indicted former President Cristina Fernandez on Monday and asked for her arrest for allegedly heading a corruption scheme that collected bribes from business leaders in exchange for public work contracts. The decision by Judge Claudio Bonadio published by Argentina’s official judicial news agency asked that Fernandez be taken into custody and for authorities to seize about $100 million from the former leader. Bonadio said Fernandez committed crimes that included “being the boss of an illegal association” and taking bribes between 2003 and 2015. The period includes her two terms as president as well as the presidency of her late husband and predecessor, Nestor Kirchner. Fernandez’s office said she had no immediate comment, but she has previously denied any wrongdoing. She calls Bonadio “an enemy judge” who she says is working with the administration of conservative President Mauricio Macri to persecute opponents and distract from Argentina’s economic crisis. Fernandez, 65, is currently a senator, a post that grants her immunity from arrest but not from prosecution. That immunity could be lifted only by a vote of two-thirds of the country’s senators. Known as the “notebooks case,” the investigation is based on a probe by the newspaper La Nacion into alleged corruption over more than a decade during the governments of Fernandez and Kirchner. The notebooks kept detailed records of bags of cash that were allegedly delivered to several addresses, including Fernandez’s apartment in Buenos Aires. Since leaving office in 2015, Fernandez has also been accused of money laundering, possible illegal enrichment and fraud. Last December, Bonadio asked lawmakers to remove her immunity to allow her arrest on a charge of treason for allegedly covering up the role of Iranians in a 1994 bomb attack on a Jewish center — Argentina’s worst terrorist attack. Still, polls say Fernandez remains the most popular opposition leader and is its best chance for winning if she runs in next year’s presidential election.